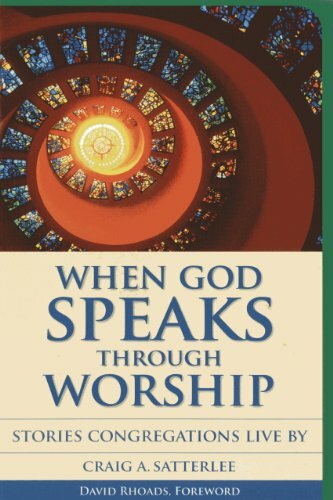 Synopsis: When God Speaks through Worship: Stories Congregations Live By is a collection of stories of congregational worship in which God's ongoing presence, speech, and activity are apparent. These stories of proclaiming the gospel, teaching the faith, praying, singing, baptizing, blessing, and sharing bread and wine in Jesus's name share the purpose of these activities in worship, yet still challenge the reader to explore the motives behind them. When we worship in church, are we worshiping God, or ourselves? Has worship become more people-centered than Christ-centered? We have our preferred styles, but is that getting in the way of the purpose of worship? In his follow-up to When God Speaks through Change: Preaching in Times of Congregational Transition and When God Speaks through You: How Faith Convictions Shape Preaching and Mission, Craig A. Satterlee uses eight stories to inspire other congregations to seek God through their worship. He discusses both the joys and challenges of worship, as well as the supportive parts of it, such as specific vocations, planning, and communication. However your church chooses to express itself through worship, this book will make you think about how you re going about it, why, and what impact it is having on the people within your congregation and the community around it. About the Author&colon; Craig A. Satterlee is associate professor of homiletics at the Lutheran School of Theology at Chicago and dean of the Doctor of Ministry in Preaching Program of the Association of Chicago Theological Schools (ACTS). Dr. Satterlee served congregations in upstate New York and Michigan before being called to LSTC.